Putting the Avengers: Infinity War promotional material together can’t have been an easy task with all the heroes you have to fit into one poster, especially when it comes to the God of Thunder, who went through a couple pretty drastic changes to his look in Thor: Ragnarok. 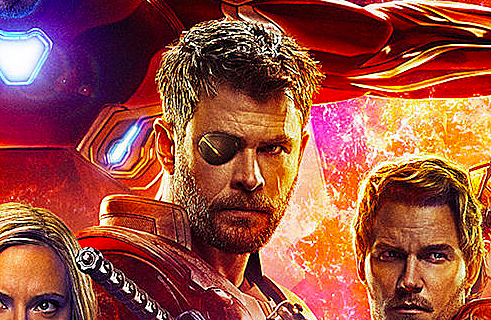 Marvel managed to keep the eyepatch a secret, not adding it into that big piece of Infinity War art they revealed at Comic Con last year before Ragnarok had a chance to come out, but it’s proving to be a little troublesome in the newest poster. 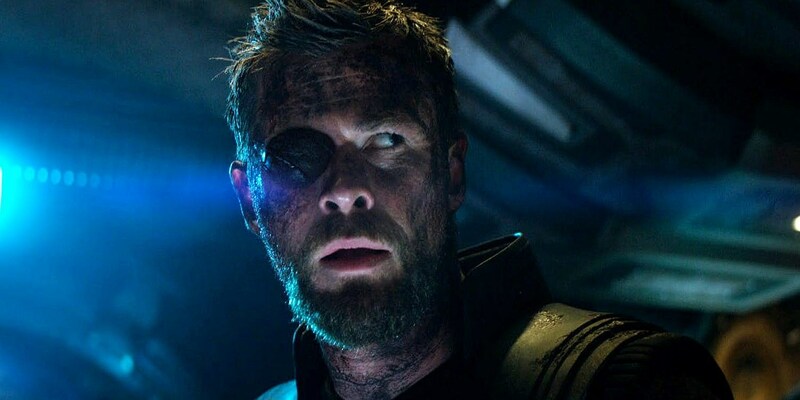 Thor’s right eye was torn out by Hela in the middle of that big fight in Thor: Ragnarok, and after Thor got cleaned up, he got an eyepatch to cover it up at the end, a la his father Odin. If you look closely, you can see that there’s still some scarring on his face — the right side of his face. And here it is again in that big poster they revealed last week. Notice anything off? That big vertical scar across his eye is on the wrong side! Reddit user WednesdayStudios was the first to point this out. 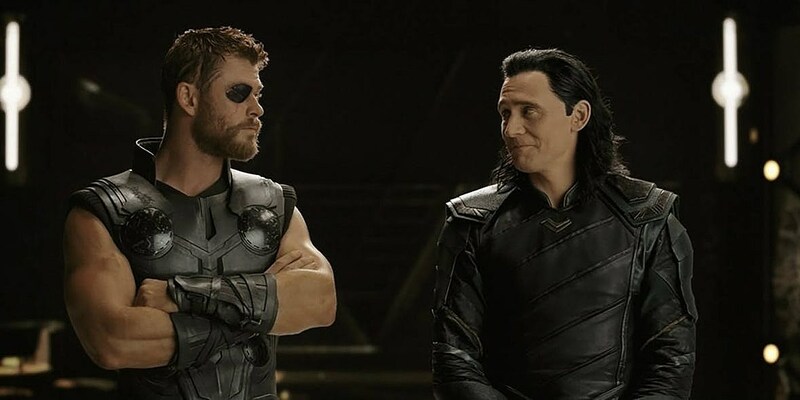 Now, Chris Hemsworth didn’t actually wear an eyepatch in Thor: Ragnarok, simply because it was too difficult to shoot with it on and it kept falling off. Instead, it was added later with CGI, which allowed the trailers to more easily keep its existence a secret. I’m not sure if Hemsworth wears a real patch in Infinity War, but what must have happened when they took all the glamor shots of the cast is: they photographed Thor without the patch but with the scar makeup, mirrored it to fit in with the symmetry of the poster, and then forgot that the patch and the scar should both be on the right side of his face. Or maybe they were hoping that no one would notice (I sure wouldn’t have unless I’d seen that Reddit post). It probably doesn’t have any impact on the film itself, but it’s a fun continuity error to catch anyway. And, I mean, look, cut these guys some slack. They had to fit twenty-four characters all on the same poster, and completely left out one of them. That’s enough to make anyone go cross-eyed.